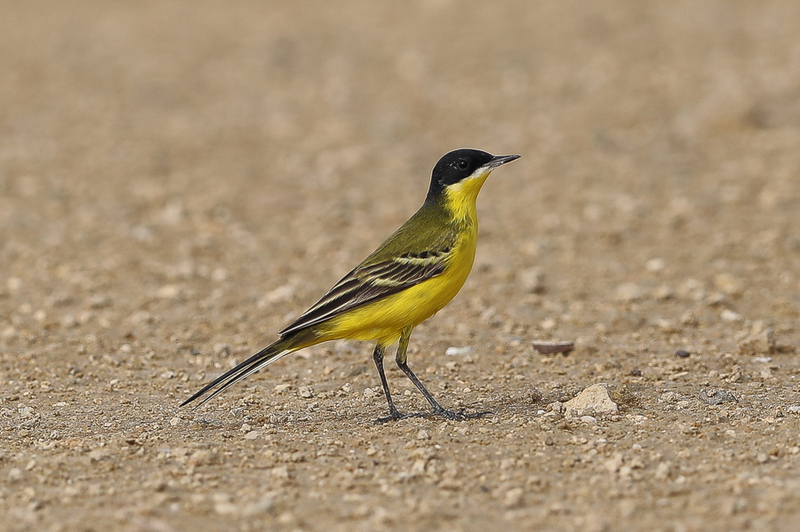 Whilst birding Jubail at the end of March I found ta number of Eastern Black-headed Yellow Wagtail melanogrisea feeding along a path and near the waters edge. 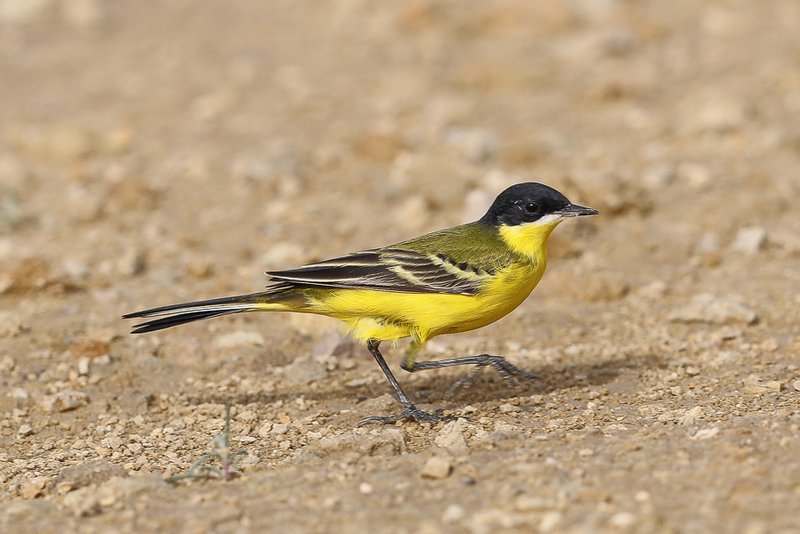 This subspecies is not as common as Black-headed Wagtail feldegg in the Eastern Province of Saudi Arabia but arrive in early to mid-March similar to feldegg. 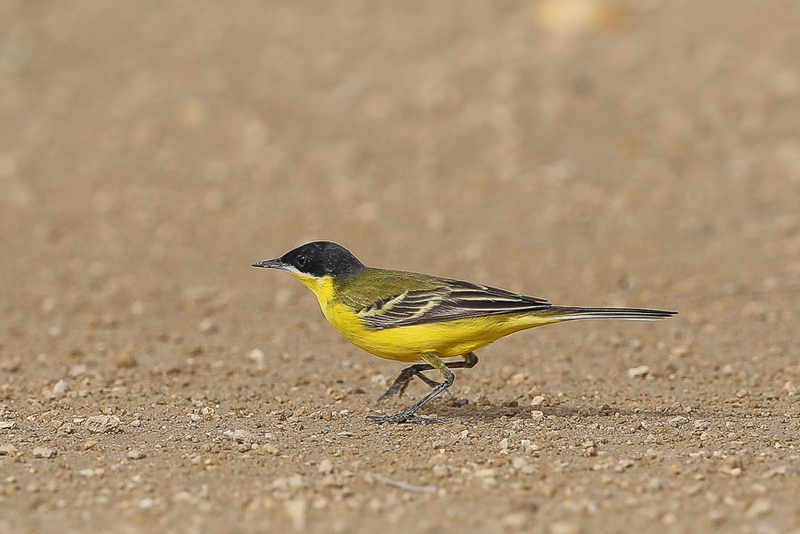 Some individual Black-headed Yellow Wagtails feldegg, more common in the eastern part of their range, show some white on the sides of the throat (often also on upper throat) like the ones I saw and have been named melanogrisea. Melanogrisea is said to breed from the eastern shores of the Caspian Sea south to northern Afghanistan and the Tian Shan, and east to Lake Balkhash, Tarbagatay and Dzungaria and winter mainly in India. 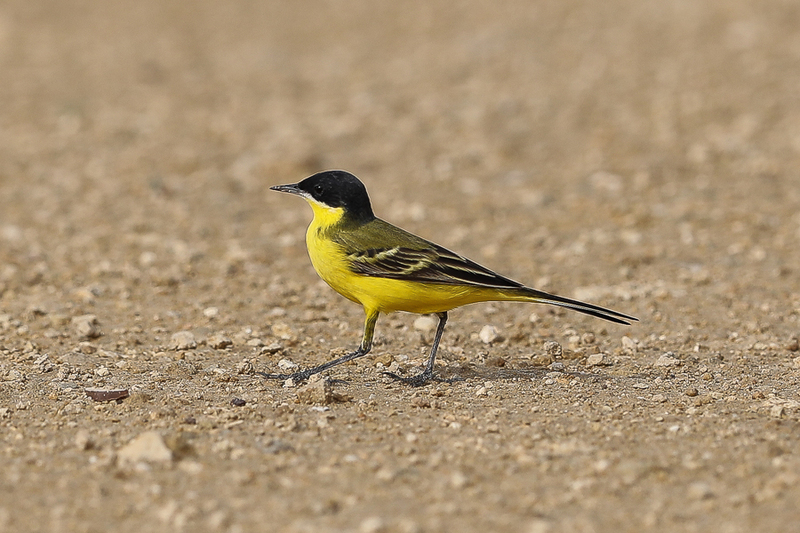 Plumage wise it is close to feldegg but slightly brighter and paler green on the back, paler yellow below with the chin white instead of yellow and the yellow throat separated from the black ear-coverts by a more or less narrow white line lacking in feldegg. The hood also does not reach the back onto the mantle. 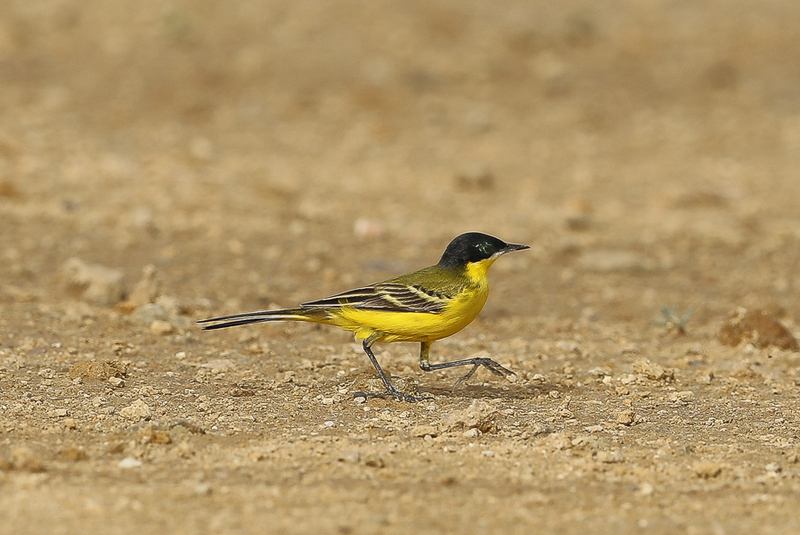 These differences are not consistent according to Alstrom and Mild ‘Pipits & Wagtails’ and they do not think it is a valid subspecies saying birds showing characteristics of melanogrisea are uncommon spring migrants in East Africa and comprise 10% of the feldegg passing in spring in Israel and many birds in spring in India appear to be typical feldegg. 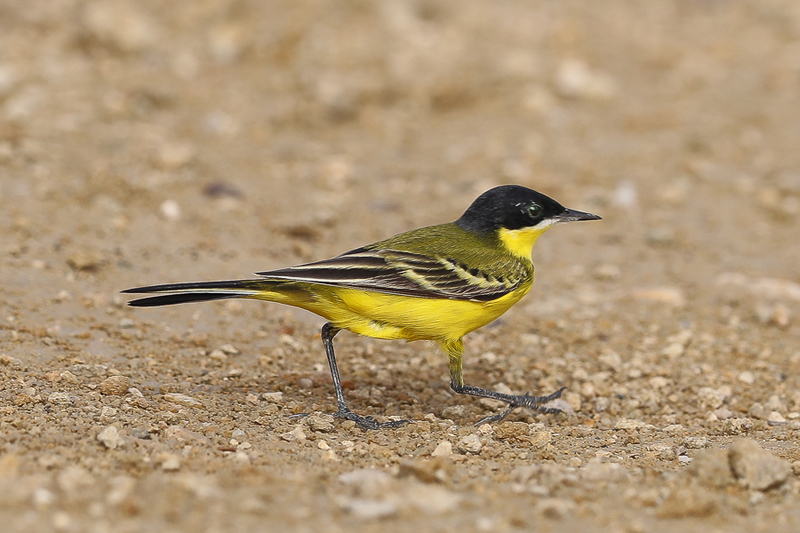 Birds on the breeding grounds of melanogrisea also lack the white stripe and some birds in the European breeding range of feldegg also have a white stripe. As a result Alstrom & Mild regard melanogrisea as a plumage variant within feldegg that becomes clinally commoner in the eastern part of the breeding range. This is probably correct as the birds I saw show signs of melanogrisea but lack the white throat mentioned for that type.